India is a land of beauties. Paris Hilton, in her recent trip to India, said that she finds Indian women gorgeous and exotic. Indian women are mysteriously and mesmerizingly beautiful. There is no wonder that Indian women have won numerous beauty pageants. Here I present a small list of the most beautiful Indian women of all time. 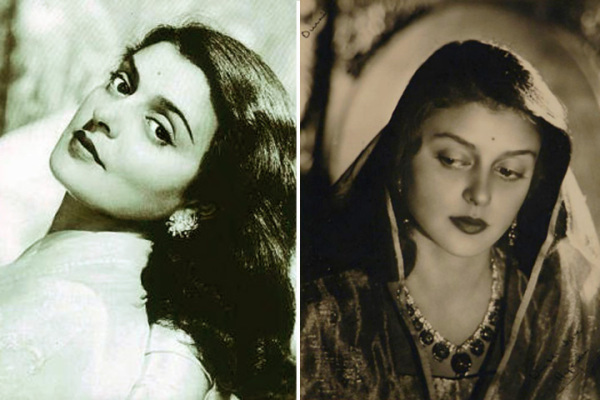 Maharani Gayatri Devi was born into the royal family of Cooch Behar. Her almond shaped eyes and well-carved, exquisite features made her the epitome of beauty. She was also a fashion icon in her adulthood. She was once included in Vogue’s list of “The 10 Most Beautiful Women of the World.” Rajmata enjoyed playing lawn tennis and polo. She was involved in charity and politics until her death in 2009. The people of Jaipur still fondly remember her. This Bollywood diva departed years ago, but is still considered one of the most beautiful women of all time. Calling her beautiful would actually be an understatement. She is the epitome of Indian beauty. 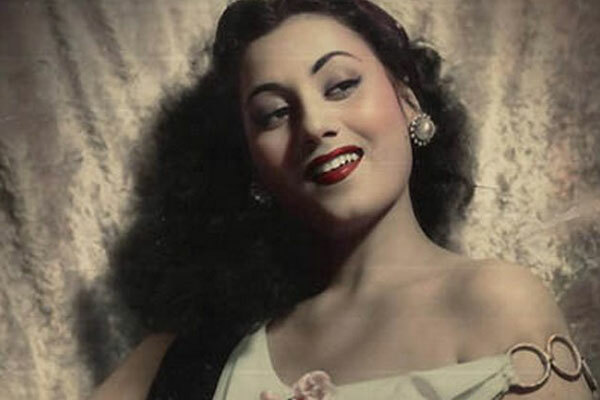 Fondly called the “Venus of the Indian Screen”, Madhubala was a stunner who won millions heart, but, unfortunately, had an unhappy ending. Her million-dollar smile and luminous perfection made it difficult for her co-stars to take their eyes off her. It is said “none of her photographs could do full justice to her extraordinary beauty.” Her mystique and charisma attracted even the West to the shores. “Dream Girl” Hema Malini is a beautiful Bollywood actress with amazing facial features. She ruled the box office for two decades with her lovely smile, stunning acting, and rhythmic dance moves. Every actor dreams of having the fortune and fame she enjoyed. In addition, she was the only actor who was paid as much as the male stars. Her skin looks as young and flawless as it did 30 years ago. Besides, Hema Malini is an active Member of Parliament and a member of Bhartiya Janta Party. Aishwarya Rai Bachchan has been voted as one of the most beautiful women several times. Her chiseled features, well-maintained body and a porcelain complexion have won the hearts of millions of people across the world. Aishwarya started her career as a part time model and ended up winning the Miss World title in the year 1994. She has again been voted as the fourth most beautiful woman by an online survey conducted by Hollywood Buzz. She was also listed in Times Magazine 100 Most Influential People. Aishwarya has won several Filmfare and numerous International awards for her movies. This London born damsel is now an established actor of Bollywood. Though she has received some critical bashing for her acting, there is no denial that she is currently one of the most beautiful women in India. Katrina is one of the few actors who look flawless and beautiful even without makeup. Her skin is buttery smooth and glowing. Katrina was born in Hong Kong and later moved to England. She began her modeling career at the age of 14 in Hawaii. Before venturing into Bollywood, she appeared in Telugu and Malayalam films. The Marathi mulgi can make the heartbeat of millions skip with just a smile. Her striking features, charming smile, brilliant acting and amazing dance moves had once made her the queen of Bollywood. Madhuri Dixit started her career with the film “Abodh”. This ageless beauty is married and has two sons, but no change can be seen in her beauty. She still looks as pretty and youthful as she looked 15 years ago. She was awarded the Padma Shree, the Indian Government’s fourth highest civilian award in 2008. Rekha is the eternal glamor queen of Bollywood. Her sensuous dancing moves and sizzling persona had made her the heartthrob of millions. For decades, Rekha has been ruling the hearts of millions of men and the box office. People still wonder what makes her so radiantly beautiful and graceful. Rekha Ganesan started her career as a child artist in the film “Rangula Ratnam”. Rekha was earlier termed as an ugly duckling for being too fat and dusky. Now, even at the age of 60, she keeps the men hooked, both on and off the screen. Kareena Kapoor is a diva in the truest sense. Her porcelain complexion, green eyes, and enviable figure do not require any makeup. Her natural acting, linkup and size zero figure have always made sure that she stays in the headlines of Page 3. Kareena started her acting career with “Refugee” in the year 2000. Filmmakers have also used her natural beauty and fresh faced innocence on screen. Deepika with her doe eyes, well-toned figure, cute dimples, and voluminous hair have made her truly desirable. This South Indian beauty is the daughter of former badminton player Prakash Padukone. This A listed actor has given several hits post her debut “Om Shanti Om” opposite Shah Rukh Khan. She has also featured in the list of the Most Beautiful Women of 2014. She was a top-notch badminton player in high school, but the glitz and glamor of the showbiz industry got better of her. Today, Deepika Padukone is one of the highest paid actors in Bollywood. She is also the brand ambassador for Close Up, Tissot, Maybelline, Garnier and other well-known brands. Chitrangada is deemed as a Goddess. She is best known for her lead role in Hazaaro Khwaishein Aisi, a film by Sudhir Mishra. The ethereally beautiful woman has chiseled features, doe eyes, golden complexion and beautiful hair. She is the object of desire for many men. Just like the imagination of a poet, Chitrangada is a classic beauty. She has also been compared to Late Smita Patel. Here comes the unconventional beauty of Indian Cinema. This dusky beauty has her signature look, which she adopts in her films as well. This reigning queen of Bollywood has always impressed her critics with great performances in films like “Aitraaz”, “Barfi” and “Saat Khoon Maaf”. Priyanka Chopra has the potential to be an eternal actor of Bollywood. Besides, this drop dead gorgeous woman has serious vocal pipes. She has two solo albums in her kitty. This poster girl of the late 90s and a contended mother and wife of today is the ageless beauty of India. This yummy mummy never seems to age, even at the age of 40. Sonali has won critical acclaim from her performances in films like “Zakhm” and “Sarfarosh”. She now appears as a judge on a reality show on a small screen. She says that the secret to her beautiful skin and figure is her dedication to fitness and her desire to lead a healthy life. Here is another beautiful actor with a strong foothold in the South film industry. This charming and bubbly actor began her career with Amitabh Bachchan in the Parker Pen commercial. Since then, there is no stopping her. She made her debut in 2003 with the film “Tujhe Meri Kasam” opposite Riteish Deshmukh, whom she married last year. Genelia is not a conventional drama hero. Her excellent comic timing has made her a successful actor in the rom-com genre. Malaika Arora is another ageless beauty of India. 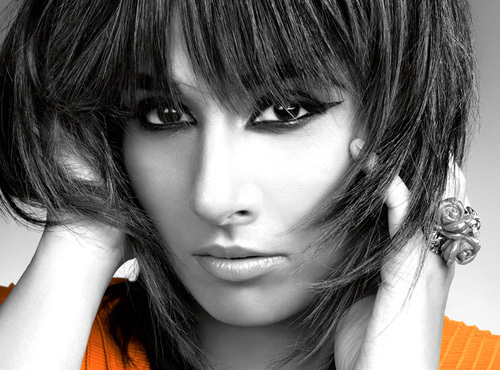 She rose to fame with her item song “Chaiya”, opposite Shah Rukh Khan. Her glowing skin and slender figure can make any person go weak at his knees. She is one of the few actors who glow even without makeup on her face. No wonder she is the sexiest mommy the B-Town. This South Indian beauty is the one of the most amazing actors of B Town. She has given some laudatory performance in Kahaani, Dirty Picture, Ishqiya, and Parinita. Despite being on the slightly “heavier side”, Vidya manages to seek attention wherever she goes. Her beautiful eye adds ten folds to her charm. Amisha may not be an established actor, but she is pretty looking. Unlike other tinsel town actors, Amisha has always been seen prompting the curvy body. She debuted opposite Hritik Roshan in “Kaho Na Pyar Hai”, which was a huge hit. She, however, later lost the road by acting in some dud movies. None of her later films did well at the box office to make her a top-notch actor of B-Town. Diya Mirza was crowned Miss Asia Pacific in 2000. Her flawless skin can cause envy in any girl. The porcelain white texture of her skin, well-arrayed brows and radiant eyes make her look like a goddess. She debuted in “Rehna Hai Tere Dil Mein”, which bombed at the box office. None of her films have done well in the box office. Sushmita Sen was the first Indian woman to the Miss Universe title in India in 1994. She is admired by women all across globe for her svelte figure, million dollar smile, sparkling eyes and ultra-gorgeous look. She always carries herself with elegance. She started her acting career in 1996 with the film “Dastak”. She later featured in several films, but sadly, not many did well at the box office. She won the Filmfare and IIFA Award for best supporting actor for Biwi No. 1. Do you agree with our list of most beautiful Indian women? Whom do you find the most beautiful? Let us know in the comment box.